We design and Print business cards for existing business and startups. Business cards are one of the most commonly used forms of marketing. They have been around as long as the handshake and will live long into the future. We help you get the most of your marketing power with crisp design and quality printing. 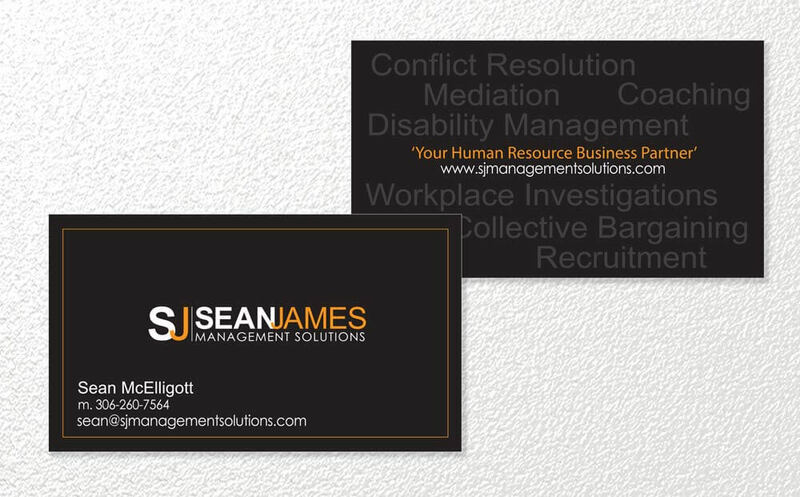 Everyone strives for a firm handshake and your business cards should be no different. Local startup company was looking for a business card that said they meant business. Professionalism and quality are two of the key features they had requested and with this 16pt spot UV card we really hit the mark. We look forward to watching this company grow with great success.